The CRIC Study Investigators have published research results using data from the CRIC Study and CRIC ancillary studies in numerous peer-reviewed medical journals including subspecialty journals in nephrology, cardiology, hypertension, geriatrics, and diabetes as well as general medical journals. Abstracts and/or full text manuscripts can be accessed through PubMed, PubMed Central, and "Free Access" online repositories available via the links at the end of each entry. Association between albuminuria, kidney function, and inflammatory biomarker profile in CKD in CRIC. Jayanta Gupta, Peter A. Kanetsky, Marshall M. Joffe, Harold I. Feldman, Joe Devaney, Maria R. Wing, Nandita Mitra, Muredach Reilly, Vallabh O. Shah, Vaidyanathapura S. Balakrishnan, Nicolas J Guzman, Matthias Girndt, Brian G. Periera, John W. Kusek and Dominic S. Raj for the CRIC Investigators. Clin J Am Soc Nephrol. 2012 Dec;7(12):1938-46. Risk factors for coronary artery calcium among patients with chronic kidney disease (from the Chronic Renal Insufficiency Cohort Study). Jiang He, MD, PhD, Muredach Reilly, MD, PhD, Wei Yang, PhD, Jing Chen, MD, Alan S. Go, MD, James P. Lash, MD, Mahboob Rahman, MD, Chris DeFilippi, MD, Crystal Gadegbeku, MD, Radhika Kanthety, MD, Valerie Teal, MS, L. Lee Hamm, MD, Akinlolu Ojo, MD, PhD, Ray Townsend, MD, Matthew Budoff, MD for the CRIC investigators. Am J Cardiol. 2012 Dec 15;110(12):1735-41. Matthew R. Weir, Raymond R. Townsend, Jeffrey C. Fink, Valerie Teal, Stephen M. Sozio, Cheryl Anderson, Lawrence T. Appel, Sharon M. Turban, Jing Chen, Jiang He, Natasha Litbarg, Akinlolu Ojo, Mahboob Rahman, Leigh Rosen, Susan Steigerwalt, Louise Strauss, Marshall M. Joffe. Recruitment of Hispanics into an observational study of chronic kidney disease: the Hispanic Chronic Renal Insufficiency Cohort Study experience. Claudia M. Lora, MD, MS; Ana C. Ricardo, MD, MPH, MS; Carolyn S. Brecklin, MD; Michael J. Fischer MD, MSPH; Robert Rosman, MD; Eunice Carmona; Amada Lopez; Manjunath Balaram, MD; Lisa Nessel, MS; Kelvin Tao, MS; Dawei Xie, PhD; Alan S. Go, MD; John W. Kusek, PhD; James P. Lash, MD. Contemp Clin Trials. 2012 Nov;33(6):1238-44. Carotid plaque, carotid intima-media thickness, and coronary calcification equally discriminate prevalent cardiovascular disease in kidney disease. Gbemisola A. Adeseun, MD, Dawei Xie, PhD, Xin Wang, MS, Marshall M. Joffe MD, MPH, PhD, Emile R. Mohler III, MD, Raymond R. Townsend, MD, Matthew Budoff, MD, Sylvia E. Rosas, MD, MSCE. Associations between kidney function and subclinical cardiac abnormalities in CKD. Meyeon Park, Chi-yuan Hsu, Yongmei Li, Rakesh K. Mishra, Martin Keane, Sylvia E. Rosas, Daniel Dries, Dawei Xie, Jing Chen, Jiang He, Amanda Anderson, Alan S. Go, Michael G. Shlipak; Chronic Renal Insufficiency Cohort (CRIC) Study Group. J Am Soc Nephrol. 2012 Oct;23(10):1725-34. Retinopathy and chronic kidney disease in the Chronic Renal Insufficiency Cohort (CRIC) Study. Juan E. Grunwald, MD, Judith Alexander, BA, Gui-Shuang Ying, PhD, Maureen Maguire, PhD, Ebenezer Daniel, PhD, Revell Whittock-Martin, Candace Parker, Kathleen McWilliams, Joan C. Lo, MD, Alan Go, MD, Raymond Townsend, MD, Crystal A. Gadegbeku, MD, James P. Lash, MD, Jeffrey C. Fink, MD, Mahboob Rahman, MD, MS, Harold Feldman, MD, MSCE, John W. Kusek, PhD, Dawei Xie, PhD, Bernard G. Jaar, MD. The CRIC Study Group. Arch Ophthalmol. 2012 Sep 1;130(9):1136-1144. Estimating GFR among participants in the Chronic Renal Insufficiency Cohort (CRIC) Study. Amanda Hyre Anderson, PhD, Wei Yang, PhD, Chi-yuan Hsu, MD, MSc, Marshall M. Joffe, MD, MPH, PhD, Mary B. Leonard, MD, MSCE, Dawei Xie, PhD, Jing Chen, MD, MSc, Tom Greene, PhD, Bernard G. Jaar, MD, MPH, Patricia Kao, MD, John W. Kusek, PhD, J. Richard Landis, PhD, James P. Lash, MD, Raymond R. Townsend, MD, Matthew R. Weir, MD, Harold I. Feldman, MD, MSCE, for the CRIC Study Investigators. Am J Kidney Dis. 2012 Aug;60(2):250-61. Factors associated with depressive symptoms and use of antidepressant medications among participants in the Chronic Renal Insufficiency Cohort (CRIC) and Hispanic-CRIC Studies. Michael J. Fischer, MD, MSPH, Dawei Xie, PhD, Neil Jordan, PhD, Willem J. Kop, PhD, Marie Krousel-Wood, MD, MSPH, Manjula Kurella Tamura, MD,MPH, John W. Kusek, PhD, Virginia Ford, CNP, Leigh K. Rosen, MUEP, Louise Strauss, BSN, Valerie L. Teal, MS, Kristine Yaffe, MD, Neil R. Powe, MD, MBA, James P. Lash, MD and the CRIC Study Group. Am J Kidney Dis. 2012 Jul;60(1):27-38. Julia J. Scialla, MD, MHS, Lawrence J Appel, MD, MPH, Myles Wolf, MD, MMSc, Wei Yang, PhD, Xiaoming Zhang, MS, Stephen M. Sozio, MD, MHS, Edgar R. Miller III, MD, PhD, Lydia A. Bazzano, MD, PhD, Magdalena Cuevas, Melanie J. Glenn, MPH, Eva Lustigova, MPH, Radhakrishna R. Kallem, MD, MPH, Anna C. Porter, MD, Raymond R. Townsend, MD, Matthew R. Weir, MD, Cheryl A.M. Anderson, PhD, MPH, On Behalf of the Chronic Renal Insufficiency Cohort (CRIC) Study Group. J Ren Nutr. 2012 Jul;22(4):379-388.e1. Fibroblast growth factor 23 and inflammation in CKD. Jair Munoz Mendoza, Tamara Isakova, Ana C. Ricardo, Huiliang Xie, Sankar Navaneethan, Amanda H. Anderson, Lydia A. Bazzano, Dawei Xie, Matthias Kretzler, Lisa Nessel, Lee L. Hamm, Lavinia Negrea, Mary B. Leonard, Dominic Raj, and Myles Wolf for the Chronic Renal Insufficiency Cohort. Clin J Am Soc Nephrol. 2012 Jul;7(7):1155-62. 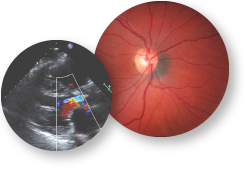 Association between retinopathy and cardiovascular disease in patients with chronic kidney disease (from the Chronic Renal Insufficiency Cohort [CRIC] Study). Juan E. Grunwald, MD, Gui-Shuang Ying, PhD, Maureen Maguire, PhD, Maxwell Pistilli, MS, Ebenezer Daniel, PhD, Judith Alexander, BS, Revell Whittock-Martin, Candace Parker, Emile Mohler, MD, Joan C. Lo, MD, Raymond Townsend, MD, Crystal A. Gadegbeku, MD, James P. Lash, MD, Jeffrey C. Fink, MD, Mahaboob Rahman, MD, MS, Harold Feldman, MD, MSCE, John W. Kusek, PhD, Dawei Xie, PhD, Martha Coleman, Martin G. Keane, MD. The CRIC Study Group. Am J Cardiol. 2012 Jul 15;110(2):246-53. Risk factors for peripheral arterial disease among patients with chronic kidney disease. Jing Chen, MD, MSc, Emile R. Mohler III, MD, Dawei Xie, PhD, Michael G. Shlipak, MD, MPH, Raymond R. Townsend, MD, Lawrence J. Appel, MD, Dominic S. Raj, MD, Akinlolu O. Ojo, MD, Martin J. Schreiber, MD, Louise F. Strauss, RN, Xin Wang, MS, Jiang He, MD, PhD and L. Lee Hamm, MD, for the CRIC investigators. Am J Cardio 2012 Jul 1;110(1):136-41. Wahl P, Xie H, Scialla J, Anderson CA, Bellovich K, Brecklin C, Chen J, Feldman H, Gutierrez OM, Lash J, Leonard MB, Negrea L, Rosas S, Anderson AH, Townsend RR, Wolf M, Isakova T On Behalf of the Chronic Renal Insufficiency Cohort (CRIC) Study Group. Faul C, Amaral AP, Oskouei B, Hu MC, Sloan A, Isakova T, Gutierrez OM, Aguillon-Prada R, Lincoln J, Hare JM, Mundel P, Morales A, Scialla J, Fischer M, Soliman EZ, Chen J, Go AS, Rosas SE, Nessel L, Townsend RR, Feldman HI, St. John Sutton M, Ojo A, Gadegbeku C, Di Marco GS, Reuter S, Kentrup D, Tiemann K, Brand M, Hill JA, Moe OW, Kuro-o M, Kusek JW, Keane MG, Wolf M.
J Clin Invest. 2011 Nov 1;121(11):4393-408. Scialla JJ, Leonard MB, Townsend RR, Appel L, Wolf M, Budoff MJ, Chen J, Lustigova E, Gadegbeku CA, Glenn M, Hanish A, Raj D, Rosas SE, Seliger SL, Weir MR, Parekh RS; on behalf of the CRIC Study Group. Clin J Am Soc Nephrol. 2011 Nov;6(11):2612-2619. Measured GFR does not outperform estimated GFR in predicting CKD-related complications. Hsu CY, Propert K, Xie D, Hamm L, He J, Miller E, Ojo A, Shlipak M, Teal V, Townsend R, Weir M, Wilson J, Feldman H; for the CRIC Investigators. J Am Soc Nephrol. 2011 Oct;22(10):1931-7. Hemodynamic correlates of proteinuria in chronic kidney disease. Matthew R. Weir, Raymond R. Townsend, Jeffrey C. Fink, Valerie Teal, Cheryl Anderson, Lawrence Appel, Jing Chen, Jiang He, Natasha Litbarg, Akinlolu Ojo, Mahboob Rahman, Leigh Rosen, Stephen M. Sozio, Susan Steigerwalt, Louise Strauss, Marshall M. Joffe. Clin J Am Soc Nephrol. 2011 Oct;6(10):2403-10. Relationship of estimated GFR and coronary artery calcification in the CRIC (Chronic Renal Insufficiency Cohort) Study. Matthew J. Budoff, MD, Daniel J. Rader, MD, Muredach P. Reilly, MD, Emile R. Mohler III, MD, Jim Lash, MD, Wei Yang, PhD, Leigh Rosen [PhD], Melanie Glen [PhD], Valerie Teal [PhD], and Harold I. Feldman, MD, on behalf of the CRIC Study Investigators. Am J Kidney Dis. 2011 Oct;58(4):519-26. Cardiovascular disease among hispanics and non-hispanics in the chronic renal insufficiency cohort (CRIC) study. Ana C. Ricardo, James P. Lash, Michael J. Fischer, Claudia M. Lora, Matthew Budoff, Martin G. Keane, John W. Kusek, Monica Martinez, Lisa Nessel, Thomas Stamos, Akinlolu Ojo, Mahboob Rahman, Elsayed Z. Soliman, Wei Yang, Harold I. Feldman and Alan S. Go, on behalf of the CRIC and HCRIC Investigators. Clin J Am Soc Nephrol. 2011 Sep;6(9):2121-2131. CKD in Hispanics: Baseline characteristics from the CRIC (Chronic Renal Insufficiency Cohort) and Hispanic-CRIC Studies. Michael J. Fischer, MD, MSPH, Alan S. Go, MD, Claudia M. Lora, MD, Lynn Ackerson, PhD, Janet Cohan, MS, John W. Kusek, PhD, Alejandro Mercado, MS, Akinlolu Ojo, MD, Ana C. Ricardo, MD, MPH, Leigh K. Rosen, MUEP, Kaixiang Tao, PhD, Dawei Xie, PhD, Harold I. Feldman, MD, and James P. Lash, MD on behalf of the CRIC and H-CRIC Study Groups. Am J Kidney Dis. 2011 Aug;58(2):214-27. Tamara Isakova, Huiliang Xie, Wei Yang, Dawei Xie, Amanda Hyre-Anderson, Julia Scialla, Patricia Wahl, Orlando M. Gutierrez, Susan Steigerwalt, Jiang He, Stanley Schwartz, Joan Lo, Akinlolu Ojo, James Sondheimer, Chi-yuan Hsu, James Lash, Mary Leonard, John W. Kusek, Harold I. Feldman, Myles Wolf for the Chronic Renal Insufficiency (CRIC) Study Group. Metabolic syndrome, components, and cardiovascular disease prevalence in chronic kidney disease: findings from the Chronic Renal Insufficiency Cohort (CRIC) Study. Raymond R. Townsend, Amanda H. Anderson, Jing Chen, Crystal A. Gadegbeku, Harold I. Feldman, Jeffrey C. Fink, Alan S. Go, Marshall Joffe, Lisa A. Nessel, Akinlolu Ojo, Daniel J. Rader, Muredach P. Reilly, Valerie Teal, Karen Teff, Jackson T. Wright, Dawei Xie, for the CRIC Study Investigators. Tamara Isakova, Patricia Wahl, Gabriela S. Vargas, Orlando M. Gutierrez, Julia Scialla, Huiliang Xie, Dina Appleby, Lisa Nessel, Keith Bellovich, Jing Chen, Lee Hamm, Crystal Gadegbeku, Edward Horwitz, Raymond R. Townsend, Cheryl A.M. Anderson, James P. Lash, Chi-yuan Hsu, Mary B. Leonard, and Myles Wolf on behalf of the Chronic Renal Insufficiency Cohort (CRIC) Study Group. Diuretics, calciuria, and secondary hyperparathyroidism in the Chronic Renal Insufficiency Cohort. Tamara Isakova, Cheryl A.M. Anderson, Mary B. Leonard, Dawei Xie, Orlando M. Gutierrez, Leigh K. Rosen, Jacquie Theurer, Keith Bellovich, Susan P. Steigerwalt, Ignatius Tang, Amanda Hyre Anderson, Raymond R. Townsend, Jiang He, Harold I. Feldman, and Myles Wolf on behalf of the Chronic Renal Insufficiency Cohort (CRIC) Study Group. Nephrol Dial Transplant. 2011 Apr;26(4):1258-65. Vascular risk factors and cognitive impairment in chronic kidney disease: the Chronic Renal Insufficiency Cohort (CRIC) study. Kurella Tamura M, Xie D, Yaffe K, Cohen DL, Teal V, Kasner SE, Messe SR, Sehgal AR, Kusek J, Desalvo KB, Cornish-Zirker D, Cohan J, Seliger SL, Chertow GM, Go, AS. Clin J Am Soc Nephrol. 2011 Feb;6(2):248-56. Symptoms characteristic of heart failure among CKD patients without diagnosed heart failure. Michael G. Shlipak, MD, MPH, James P. Lash, MD, Wei Yang, PhD, Valerie Teal, MS, Martin Keane, MD, Tom Cappola, MD, ScM, Chris Keller, MD, Kenneth Jamerson, MD, John Kusek, PhD, Patrice Delafontaine, MD, Jiang He, MD, PhD, Edgar R. Miller III, MD, PhD, Martin Schreiber, MD, and Alan S. Go, MD for the CRIC Investigators. Orlando M. Gutierrez, Cheryl Anderson, Tamara Isakova, Julia Scialla, Lavinia Negrea, Amanda Hyre Anderson, Keith Bellovich, Jing Chen, Nancy Robinson, Akinlolu Ojo, James Lash, Harold I. Feldman, and Myles Wolf on behalf of the CRIC Study Group. J Am Soc Nephrol. 2010 Nov;21(11):1953-60. Central pulse pressure in chronic kidney disease: A chronic renal insufficiency cohort ancillary study. Raymond R. Townsend, Julio A. Chirinos, Afshin Parsa, Matthew A. Weir, Stephen M. Sozio, James P. Lash, Jing Chen, Susan P. Steigerwalt, Alan S. Go, Chi-yuan Hsu, Mohammad Rafey, Jackson T. Wright, Jr., Mark J. Duckworth, Crystal A. Gadegbeku, Marshall P. Joffe, and for the Chronic Renal Insufficiency Cohort Investigators. Elsayed Z. Soliman, MD, MSc, MS, Ronald J. Prineas, MD, PhD, Alan S. Go, MD, Dawei Xie, PhD, James P. Lash, MD, Mahboob Rahman, MD, Akinlolu Ojo, MD, Val L. Teal, MS, Nancy G. Jensvold, MPH, Nancy L. Robinson, PhD, Daniel L. Dries, MD, MPH, Lydia Bazzano, MD, PhD, Emile R. Mohler, MD, Jackson T. Wright, MD, PhD, Harold I. Feldman, MD, MSCE, and Chronic Renal Insufficiency Cohort (CRIC) Study Group. Prevalence of ocular fundus pathology in patients with chronic kidney disease. Juan E. Grunwald, Judith Alexander, Maureen Maguire, Candace Parker, Kathleen McWilliams, Joan C. Lo, Raymond Townsend, Crystal A. Gadegbeku, James P. Lash, Jeffrey C. Fink, Mahboob Rahman, Harold Feldman, John Kusek, and Akinlolu Ojo for the CRIC Study Group. Clin J Am Soc Nephrol. 2010 May;5(5):867-73. Variability of creatinine measurements in clinical laboratories: results from the CRIC study. Joffe M, Hsu CY, Feldman HI, Weir M, Landis JR, Hamm LL; Chronic Renal Insufficiency Cohort (CRIC) Study Group. Aortic PWV in chronic kidney disease: a CRIC ancillary study. Raymond R. Townsend, Neil J. Wimmer, Julio A. Chirinos, Afshin Parsa, Matthew Weir, Kalyani Perumal, James P. Lash, Jing Chen, Susan P. Steigerwalt, John Flack, Alan S. Go, Mohammad Rafey, Mahboob Rahman, Angela Sheridan, Crystal A. Gadegbeku, Nancy A. Robinson, and Marshall Joffe. Am J Hypertens. 2010 Mar;23(3):282-9. Hypertension awareness, treatment and control in adults with chronic kidney disease: results from the chronic renal insufficiency cohort (CRIC) study. Paul Muntner, PhD, Amanda Anderson, PhD, Jeanne Charleston, BS, Zhen Chen, PhD, Virginia Ford, MSN, Gail Makos, MSN, Andrew O' Connor, DO, MPH, Kalyani Perumal, MD, Mahboob Rahman, MD, MS, Susan Steigerwalt, MS, Valerie Teal, MS, Raymond Townsend, MD, Matthew Weir, MD, and Jackson T. Wright, Jr, MD, PhD for the Chronic Renal Insufficiency Cohort (CRIC) Study Investigators. Am J Kidney Dis. 2010 Mar;55(3):441-51. Chronic kidney disease and cognitive function in older adults: findings from the chronic renal insufficiency cohort cognitive study. Kristine Yaffe, MD, Lynn Ackerson, PhD, Manjula Kurella Tamura,MD, MPH, Patti LeBlanc, MA, John W. Kusek PhD, Ashwini R. Sehgal, MD, Debbie Cohen, MD, Cheryl Anderson, PhD, MS, Lawrence Appel, MD, Karen DeSalvo, MD, MPH, Akinlolu Ojo, MD, PhD, Stephen Seliger, MD, Nancy Robinson, PhD, Gail Makos, RN, MSN, and Alan S. Go, MD for the Chronic Renal Insufficiency Cohort Investigators. J Am Geriatr Soc. 2010 Feb;58(2):338-45. Aortic pulse pressure is associated with carotid IMT and plaque in chronic kidney disease: report from Chronic Renal Insufficiency Cohort. Stephanie S. DeLoach, Lawrence J. Appel, Jing Chen, Marshall M. Joffe, Crytal A. Gadegbeku, Emile R. Mohler III, Afshin Parsa, Kalyani Perumal, Mohammad A. Rafey, Susan P. Steigerwalt, Valerie Teal, Raymond R. Townsend and Sylvia E. Rosas. Am J Hypertens. 2009 Dec;22(12):1235-41. The Chronic Renal Insufficiency Cohort (CRIC) Study: Baseline characteristics and associations with kidney function. James P. Lash, Alan S. Go, Lawrence J. Appel, Jiang He, Akinlolu Ojo, Mahboob Rahman, Raymond R. Townsend, Dawei Xie, Denise Cifelli, Janet Cohan, Jeffrey C. Fink, Michael J. Fischer, Crystal Gadegbeku, L. Lee Hamm, John W. Kusek, J. Richard Landis, Andrew Narva, Nancy Robinson, Valerie Teal, and Harold Feldman on behalf of the Chronic Renal Insufficiency Cohort (CRIC) Study Group. Clin J Am Soc Nephrol. 2009 Aug;4(8):1302-11. A comparison of change in measured and estimated glomerular filtration rate in patients with nondiabetic kidney disease. Dawei Xie, Marshall M. Joffe, Steven M. Brunelli, Gerald Beck, Glenn M. Chertow, Jeffrey C. Fink, Tom Greene, Chi-yuan Hsu, John W. Kusek, Richard Landis, James Lash, Andrew S. Levey, Andrew O'Connor, Akinlolu Ojo, Mahboob Rahman, Raymond R. Townsend, Hao Wang, and Harold I. Feldman. Clin J Am Soc Nephrol. 2008 Sep; 3(5):1332-8. Correlation between Pulse Wave Velocity and other measures of arterial stiffness in Chronic Kidney Disease. N.J. Wimmer, R.R. Townsend, M.M. Joffe, J.P. Lash and A.S. Go for the Chronic Renal Insufficiency Cohort (CRIC) Study Investigators. Clin Nephrology 2007 Sep; 68(3): 133-43. The Chronic Renal Insufficiency Cohort (CRIC) Study: Design and Methods. Feldman HI, Appel LJ, Chertow GM, Cifelli D, Cizman B, Daugirdas J, Fink JC, Franklin-Becker ED, Go AS, Hamm LL, He J, Hostetter T, Hsu CY, Jamerson K, Joffe M, Kusek JW, Landis JR, Lash JP, Miller ER, Mohler ER 3rd, Muntner P, Ojo AO, Rahman M, Townsend RR, Wright JT; Chronic Renal Insufficiency Cohort (CRIC) Study Investigators.